Geography: South East, Kent. Part of Medway council area and part of Tonbridge and Malling. Main population centres: Chatham, Snodland, Aylesford, Larkfield. Profile: Consists of Chatham and the semi-rural area south of the M2 and Blue Bell Hill, around the town of Snodland and the villages of Aylesford and Larkfield. Chatham is a tough, working class town, the middle of the three towns making up the Medway conurbation, that is historically associated with the military and Chatham Dockyard, though this closed in the 1980s. The historic site of the dockyard lies outside the constituency boundary in the Gillingham seat. Politics: Chatham and Aylesford was created for the 1997 election and is a Conservative - Labour marginal, with Chatham tending to vote Labour and the Aylesford part of the seat Conservative. It was held by Labour from 97 and taken by the Conservatives in 2010. TRACEY CROUCH (Conservative) Born 1975, Ashford. Educated at Folkestone School for Girls and Hull University. Former head of public affairs for Aviva. First elected as MP for Chatham & Aylesford in 2010. Sports minister since 2015. She is a qualified FA football coach. TRACEY CROUCH (Conservative) See above. TRISTAN OSBORNE (Labour) Educated at Kings School Rochester and Durham University. Legal and compliance consultant. Medway councillor since 2011. LUKE BALNAVE (Green) Born 1984. Educated at Haberdashers Askes Boys School and Durham University. According to today’s “Sunday Times” the Labour prospective candidate here, Tristan Osborne, has criticised Ed Miliband as “not functioning in any capacity.” He has said that Labour is failing to reach out to aspirational voters in the South, without whom Labour could not form a credible government. Osborne made his comments at a private meeting, but has been, to his credit, prepared to stick to them when approached by the “Sunday Times”‘ reported. To be honest. Osborne has nothing to lose with these statements as on current trends he has zilch chance of winning this seat. The logical implication of Osborne’s comments is that Labour should seek to change their Leader before next May. They have one opportunity, at this Autumn’s conference. The obvious replacement would be Yvette Cooper, assuming that she would not be blamed for her husband’s motoring problems. Labour cannot write off Kent in particular, and Southern England in general, but this is precisely what Miliband seems to be prepared to do. By contrast, UKIP has a comparatively big presence in Kent. Seeing as how this is their 2nd Kent target after Dover, it tells you all you need to know about their poor starting in the region. Tracey Crouch seems like a very moderate Tory who could gain support from enough swing voters to hold. Labour should improve their position here, but a Tory hold is obviously the most likely outcome. It looks like Labour’s best challenge in the SE is going to be confined to four East Sussex seats. As for not reaching out to “aspirational voters”, why is there an assumption that they only live in the south? Did he, by any chance, highlight any Labour policies which he takes issue with that might turn these kinds of voters away? He’s a Blairite & member of Progress. His views are totally unrepresentative within the party at the moment and what he seeks will not occur. I agree he won’t be elected, but the old truism that Labour cannot be elected without winning “seats like Chatham & Aylesford” or wherever is not applicable now. It is of course perfectly possible for Labour to come to power without winning this seat or indeed any in Kent, as I have repeatedly pointed out. If Labour achieved a swing of 5.8%, for example, it would leave them a fraction short of winning Dover or here, but there would be a clear working majority in the House of Commons. Sorry – total unrelated to Chatham and Aylesford but a general question. Out of interest, how does one go about getting party logos/colours to appear on comments (a la Pete Whitehead/A Brown etc)? Cheers! According to today’s “Sunday Times” the Labour prospective candidate here, Tristan Osborne, has criticised Ed Miliband as “not functioning in any capacity.” He has said that Labour is failing to reach out to aspirational voters in the South, without whom Labour could not form a credible government………………. I’m a Labour supporter and don’t have a clue who this Tristan lad is but he’s bang on the money! Ed Miliband simply doesn’t appeal to C1 aspirational, upper working class / lower middle class voters who are crucial for any party to win in future elections (even without a majority). David Miliband or Alan Johnson would appeal to these type voters if her were Labour leader. With inevitable future boundary changes that will harm Labour, if they don’t appeal to these type of voters soon, the party will find it extremely difficult to win or be the largest party in a General Election again after 2020 and could be in permanent opposition. Even if David Miliband was leader, there’s still no guarantee that Labour would’ve been able to fend off UKIP since he is of the same metropolitan background that “the people’s army” has waged their war against. If David M was the Labour leader I think they’d be faring better in the polls but that wouldn’t stop Nigel Farage holding the UKIP conference in South Shields. Might have been different if Alan Johnson was leader. Being more affiliated with electable New Labour won’t change the fact that Britain has veered towards Euroscepticism in a large way and is something even Blairites (predominantly pro-EU) can’t fully comprehend if they continue with the policies many voters (right or wrongly) blame on their party while they were in government. If UKIP can win Rochester and Strood in the by-eleciton, then I’m pretty sure they can win this and maybe even Gillingham too. Just to cap a bad day for the Greens the Aylesham paper mill, which was the largest paper recycler in the U K, closed yesterday.Not the only recycler in trouble. Christian, I don’t think UKIP will win here, but I’d expect us to give Labour a fairly good battle for 2nd. Barnaby, I appreciate you made the comment last May, when circumstances were somewhat different, but I don’t think a 5.8% swing would now be enough to give Labour a majority, let alone a clear working majority. Labour genuinely do need to be taking seats like this (not necessarily this one in particular, but a swing approaching 7% is needed) in order to win an overall majority. Their catastrophe in Scorland will almost wipe out the advantage they get from the boundaries, and they now need a lead of about 7% to gain a majority (Tories need a lead of about 1%). A Tory lead of about 1% will now make the Tories the largest party. I agree with Neil, I can see a very small gap between Labour and UKIP for second place, could go either way. Neil – Do you think UKIP could win in May in neighbouring Gillingham and Rainham or Sittingbourne and Sheppey? I think if Henderson had defected he would have won easily under UKIP colours. As it is he will be difficult to unseat, if he wasn’t the MP there I’d say Sittingbourne and Sheppey would be a strong possibility, but as it is I can’t see it. Gillingham and Rainham is probably more likely, if only because the sitting MP is by all accounts a fair bit less popular, but I can see the Tories holding on there by 5% or so. For what it’s worth, I think UKIP are pretty likely to win Clacton and South Thanet, but I’m becoming more pessimistic of winning any others. Boston & Skegness, Thurrock, Castle Point and Rochester & Strood should all be interesting – would be disappointing if we couldn’t take at least one or two of these. 2 MPs after the election would probably be portrayed as a flop, but in reality I think it wouldn’t be a bad result – particularly if we’re well positioned in another 40 or 50 seats for a possible follow up election within the next couple of years. I don’t claim to be much of a psephologist but IMO Sittingbourne and Sheppey is much more likely to turn purple than here or Gillingham and Rainham. I live in Sittingbourne and Sheppey and the UKIP local association is very active (I’m not sure if there is an association in Gillingham and Chatham – maybe you can correct me here). Gordon Henderson seems a very low profile MP and whilst I expect him to hold on I think that the demographics of Sittingbourne and Sheppey are much better for UKIP than any other seats in this area. I would also expect UKIP to do very slightly better here than in Gillingham to be honest. It is slightly more working class if anything and there has always been some kind of BNP vote here due to some slight racial tensions. Do you have any idea as to how unpopular Rehman Chishti is in Gillingham? I’ve not heard much myself but I agree that he may struggle to fight off a UKIP challenge more so than someone like Henderson – it just seems to me that Henderson will face a much stronger challenge. I bow to your obviously much greater local knowledge on this. It’s worth pointing out that I don’t think UKIP will be all that close to winning this seat – as I said upthread, they’ll be in a fight with Labour for 2nd. As between G&C and S&S, I don’t live in the area, but my impression of the candidates is that Gordon Henderson is probably, of all current Tory MPs, about the most acceptable to UKIP voters. Chishti on the other hand is very much on the Cameron wing of the party – I don’t know anything about him being specifically unpopular, my meaning was more that one would expect him to have a harder time fending off a UKIP challenge than someone like Henderson. All that being said, I do appreciate that S&S is somewhat more UKIP friendly than G&C – no idea to what extent that’s the case, you’ll have more knowledge of this than I. I would not think that we can assume any BNP vote will transfer to UKIP, or that areas with high BNP support in 2010 are necessarily strong for UKIP. I don’t actually think UKIP will win any of the 3 seats, in fact I doubt any of them would be in our top 10 in terms of likelihood, and nobody seriously thinks UKIP will win 10 seats. I should point out (as I realise I’m using the term “we”), that I am not a member of UKIP, at this point I’m merely a supporter. Fully agree with all that you’ve said. I just happen to think that Sittingbourne and Sheppey is a very good UKIP prospect that has largely avoided much discussion on this site. We have had 3 UKIP leaflets so far this year and none from any other parties. It also seems to me that they are doing very well in all parts of the seat as they have councillors in both the traditional Labour areas (Sheppey) as well as the more Tory areas (in the more affluent villages). We live in a small village just outside Sittingbourne which would definitely be strongly Tory normally but in the Euro elections last year and the KCC elections the year before, the whole area was covered by huge UKIP posters, signs and even flags. Despite all this I expect Henderson to hold on but I think it could be close – I have posted a prediction on the Sittingbourne and Sheppey thread which I will update if I think anything has changed. One thing that I am quite convinced about is that Labour has not really gained any ground in Kent since 2010 and. I don’t think they have a hope of taking any seats. From that point of view I think that Tristan Osborne’s comments are bang on – people in this area are just simply not buying Ed Miliband. 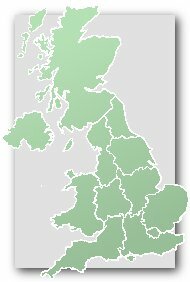 I know it was odd circumstances and with UKIP and the Tories being seen as the most likely winners, Labour was always likely to be squeezed but for Labour to drop by nearly 12% in the Rochester and Strood by election was really shocking for them especially bearing in mind that the result that they got in 2010 was also very dire – below their 1992 share. With regard to Chatham and Aylesford, it would hardly surprise me if Labour experience a fall in their vote share – mostly to UKIP. “It also shows that in some parts of ther country Labour are just as suseptible to UKIP as the Tories”. I think that’s right. Here in Gravesham I am not sure whether it’s Labour or the Tories who are more relieved that UKIP are relatively weak at local level (certainly by Kent standards). Just noticed the Lib Dems still haven’t selected a candidate here. I wonder if they given up considering their dreadful performance in the Rochester and Strood by-election (the neighboring seat)? They still have about 75 candidates to select throughout Britain. They will select in all of them I think. I wonder why Ashcroft hasn’t complied any polls for the north Kent seats yet? I think everyone has pretty much written off the entirety of North Kent as being solidly Tory (with the exception of Rochester and Strood). There are many interesting marginals in England but they sure as hell aren’t in North Kwnt. Strange really as it isn’t a particularly nice part of the country…its kind of like the reverse of those ‘nice’ Scottish constituencies that should really vote Tory. Tristan – I thought all the North Kent seats are solidly Tory now. Who do you think will win each north Kent seat in May i.e. Dartford, Gravesham, Rochester and Strood, Chatham and Aylesford, Gillingham and Rainham and also Sittingbourne and Sheepy? Ummm…the Conservatives will in win each seat. Even R & S (UKIP’s little slump and the relatively small majority at the by election will help the Tories over the line). My point was more that this is an area where Labour should be doing a lot better. Also, I meant my initial comment as a reply to your question re: Ashcroft. In that why would he bother wasting time conducting polls in this area when it’s obvious how it’s going to go in May 2015. I don’t think all those seats will be as solidly Tory as might be expected. Democracy- it depends how we are defining ‘solidly’. Put it this way…I don’t expect Labour to come within 5-8% of winning any of them. UKIP have a 25% chance maybe in R & S.
Kent is a traditional Conservative county with a few working class seats that are won Labour in good years. But now I can’t see Labour ever winning Dartford and Gravesham as much as I can’t see them winning Battersea, Putney or Wimbledon. For different reasons of course the whole Ebbsfleet Village could become bankers terroritory with it’s fast links to the city. I don’t think Labour will be close in any of them. In fact I wouldn’t be surprised to see them in third place in the majority of them. UKIP could come close in a couple. Sittingbourne and Sheppey for example (where I live) and have a chance of winning Rochester and Strood. Yes, as I mentioned in an earlier post, Ebbsfleet Garden City will make this seat even more solidly Tory. ….. meant the ‘Dartford’ seat (which Ebbsfleet Garden City will be located) not this seat. Is it tue the word Chav originates from the town of Chatham? with a play on words with Chavam? Labour still has potential in Gravesham, but it’ll still be a Tory hold this year. The addition of some of the villages from the Tonbridge and Malling seat into this seat will cause problems for Labour here for the foreseeable future. From what I can gather, whilst this was, perhaps foolishly, Labour’s number 2 target in Kent based on simple swing etc, it seems that they have shifted what focus they have in Medway into Gillingham and Rainham. I can only imagine this is preparing for 2020, but had they made G&R their focus from a bit further out rather than here they may have been more successful this time around. Good grief, that is terrible- a 26% Con majority. Labour had already done badly in 2010. At least they stayed ahead of UKIP. This is now as safe as Cities of London and Westminster. Countydurhamboy on paper it is as safe but the Cities of London and Westminster is still far less competitive as it gains hardly any swing voters, both the Tories and Labour have a very reliable base of voters just the Tories base is far larger. Chatham and Aylesford on the other hand contains a fair amount of swing voters thus the seat will be much easier for Labour to gain though given that party’s problems in this part of the world it will be very hard for them to win here any time soon. There was a massive Lib Dem collapse in Canterbury that greatly benefited Labour- they will likely be seen for the next few elections at least as being the clear centre-left challengers to the Tories there once again- Chatham and Aylesford as we know is a completely different seat in Kent that Labour were hit hard by UKIP in, along with Dartford, Dover and Gillingham and Rainham.